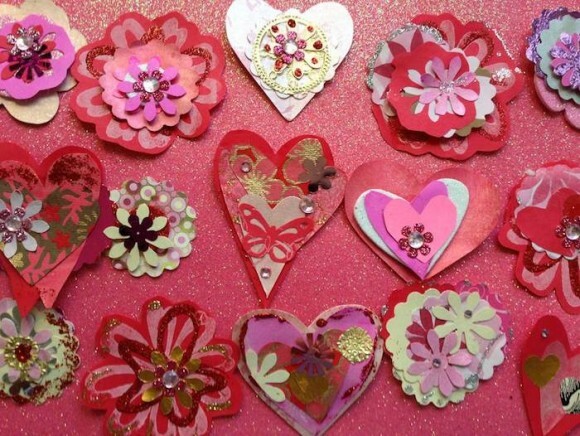 The Hammered Edge Studio & Gallery in Ivoryton is hosting an afternoon of fun and creativity on Saturday, Feb. 7, at a Valentine’s Make & Take Workshop from 1 to 4 p.m. All are welcome. Make your own precious handmade greetings with area artist/designer Lisa Fatone. Participants are welcome to bring along sentimental embellishments to give the cards a special touch. The admission fee includes materials to make ‘n take 3 collage-technique cards. Admission is $25 per person and by reservation only. The Hammered Edge is located at 108 Main St., Ivoryton.